Without proteins, life would not exist. They are needed to build new tissue, are vital for growth, and are necessary to replace worn-out cells and damaged tissue. Cells are constantly being made and broken down. Because of this, it is important to include protein rich foods in your daily diet. Proteins are needed to maintain acid-base balance and fluid balance (cells must contain a constant amount of fluid – they are unable to function properly if there is too little fluid, and they may rupture if there is too much fluid). They are also needed in the formation of hormones, enzymes, antibodies and blood clotting factors. If needed, protein will sacrifice itself as energy. These are only some of the many roles of protein, so no wonder it is important that the body receives adequate amounts. If you have a problem meeting daily demands, drinking smoothies high in protein is a fun and delicious way to fit it into your diet. Blend 1 cup of coconut water, 3 cups of strawberries, 2 bananas, 2 tablespoons of raw hulled hemp seed and 1 cup of ice cubes until smooth. Makes two servings. Hemp seed, which has a nutty flavor, is an excellent source of protein because it is easy to digest and it contains all the essential amino acids the body needs. A one-ounce serving has 10 grams of protein. Blend 1 cup of orange juice, 1 banana, 6 slices of frozen peaches, 4 frozen strawberries and 1 ounce of vanilla whey protein powder until smooth. Makes one serving. Whey, a derivative of milk, supplies one of the highest quality proteins available. One ounce has about 21 grams of protein – this is almost half of the daily recommended value. 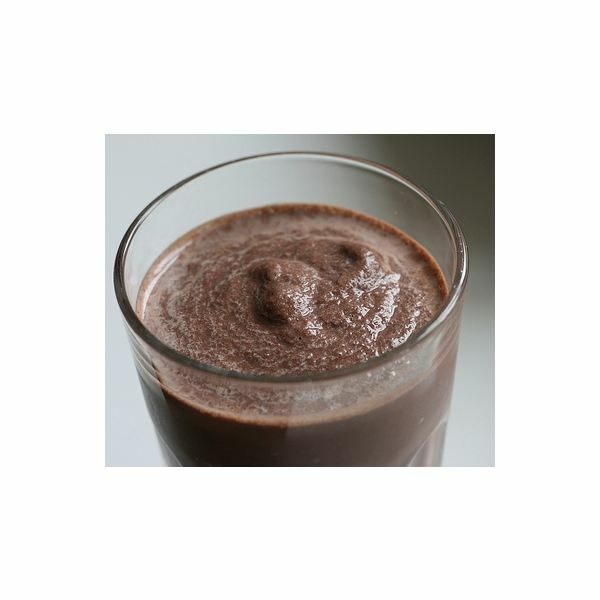 Blend 1 cup of low-fat chocolate milk, 1 cup of plain or vanilla yogurt, 1 tablespoon of peanut butter, 1 banana, 1 ounce of vanilla whey protein powder and 1/4 cup of crushed ice until smooth. Makes two servings. Milk, yogurt and peanut butter are all good sources of protein. Use an all-natural peanut butter that doesn't contain hydrogenated oils for the most health benefits. Blend 1 cup of skim milk, 1/2 cup of vanilla yogurt, 1 cup of frozen strawberries, 2 teaspoons of peanut butter, 2 teaspoons of whey protein powder and 6 ice cubes until smooth. Makes two servings. This is another tasty treat containing milk, yogurt, peanut butter and whey powder. Blend 1/2 cup of fruit juice (mango-peach, white grape or orange juice), 1/2 cup of vanilla yogurt, 1 cup of mango, 1/2 banana, 1 scoop of vanilla whey protein powder, 1 tablespoon of wheat germ and a couple of ice cubes until smooth. Makes one serving. Wheat germ is the embryo of the wheat kernel. It is a concentrated source of many nutrients. One ounce has 6 grams of protein. Blend 1 cup of milk, 1/4 cup of oats, 1 tablespoon of peanut butter, 1 tablespoon of ground flaxseed, 1 scoop of chocolate protein powder and 1 dash of cinnamon until smooth. Makes one serving. Oats and flaxseed are other nutritious ingredients high in protein – one ounce of each has 5 grams. Blend 1/2 cup of water, 1/2 cup of coconut milk, 1/4 cup of garbanzo beans (cooked), 1/4 cup of pecans, 5 dates and 1 tablespoon of raw cacao. Add 8-10 ice cubes and blend until smooth. These ingredients contain almost 13 grams of protein. Pour the liquid ingredients in the blender first, and then gradually add the other ingredients. Add protein powder last, after all other ingredients have been blended. Over blending the powder can damage its health benefits. To freeze large fruits, chop them into pieces and spread on a plate before freezing to prevent them from sticking together. Once frozen, you can place in a container. If you wish to make the smoothie thicker, add more fruit or ice. For recipes not calling for frozen fruits, you can freeze them to thicken your drink. You can freeze your smoothies to drink later by placing in a container (just leave some space in the container because it will expand slightly). Come up with your own recipes for high protein smoothies. You can use milk, yogurt, frozen yogurt or even ice cream. Fruits containing good amounts of protein include apricots, cherries, bananas, papaya and kiwi. For that extra boost, be sure to add some whey protein, hemp seed, flaxseed, wheat germ or nuts.